Like SMS? – Good! Cut Diabetes Risk too! It is common to communicate via sms with our friends or family. You can talk to them whenever you want although the distance. In today’s busy days, we need to have everybody next to us always. The high technologies have satisfied our desire: cellphones of every type can make the difference. Now, the health industry, especially the research one is focusing in the benefits of such technologies, i.e. cellphones. 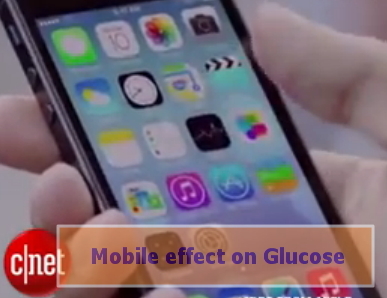 If you still remember, I have posted an article regarding the mobile effect on blood sugar, especially when it comes to brain cells. Today, there is another news regarding the effects of text messaging through mobile phones in preventing diabetes. “We can bring you together and keep you far away from Diabetes” – This is the new finding of the Indian research. Therefore, the Indian researchers have come with an idea of studying how communicating through mobile phones can keep you away from diabetes. Now, piece of mind is precious and not so cheap; while sending SMS is so cheap as it can be used to sensibilize common people about diabetes, especially that of type 2. “If SMS are sent to 11 people, 1 new case of Diabetes is prevented”, study showed. Now, I do not want to bother you with such studies. There are 2 points I wanted to emphasize by sending this article to you. 1. 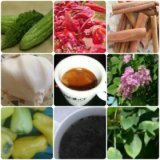 It is possible to prevent diabetes. As we have always discussed, lifestyle and dietary changes are crucial to succeed. In case diabetes has been set, the next step is to prevent further damages, especially those cardio-vascular, which can have a high cost at your life: DEATH. 2. One of the ways of sensibilizing people that Indian researchers have discovered includes SMS. My own way is by sending reminding articles with information I think might be helping you. Either ways, online or mobile, have the unique scope of giving such preventive measures by using the cheapest way. Doctors are busy in clinics with various cases. Furthermore, getting preventive advice from them might have high cost. The new technologies are cutting those costs and are helping you cutting the diabetes risk for almost 40 % according to this current study. Although such news might give a hope to being healthy; however, actions speak more than words. Be strong enough and willingly to take proper care about yourself and to keep healthy.